Taking a vacation, while normally a great experience, can also be stressful if you are not adequately prepared. If you’d agree that travel is one of life’s most rewarding and exciting activities, (like we do at A Toast to Travel) then perhaps you’d also say that it comes at the cost of having to pack. Unless, of course, you’re one of the few people who seem to enjoy this step, and there’s nothing wrong with that. 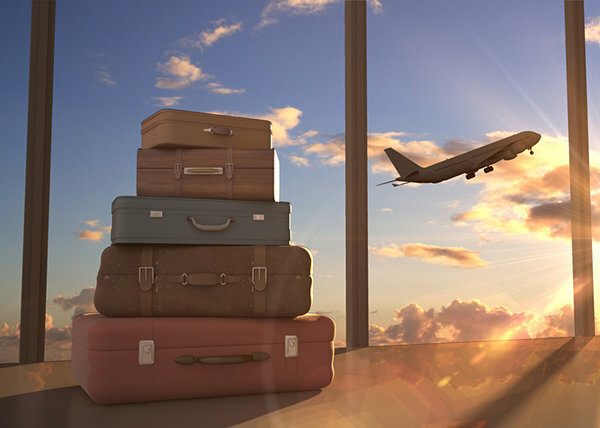 For most everyone else, though, packing may induce irritating feelings of dread, and if not done properly, it can cause further headaches during your travels. Here are a few packing tips for women that should serve to make any vacation experience easier and more enjoyable! Wear your heaviest/clunkiest stuff on the airplane – This can do a couple of things for you. Either it will create more open space in your bag so that you may take home any purchases made on your trip, or it will allow you to load the bag up with smaller, less space-consuming articles of clothing. Bonus benefit – if you have a tendency to get cold, especially on airplanes, more layers will prove helpful! Keep your most important valuables out of your checked luggage – If you travel with any medicines, extremely sentimental objects, important documents, etc., it is in your best interests to keep them with you at all times. As much as we want to believe that our luggage will always be taken care of as best as possible by the airlines, mishaps do happen, and bags do get lost. So in the unlikely event that this happens to you, save yourself the headache of replacing the objects that matter most! Make sure you know exactly what’s in your carry on before you head to security – Airport security can and will be strict about adhering to the guidelines of carry on luggage. This means that if, for example, you’re trying to bring home a bottle of Italian wine, and you completely forgot you left it in your backpack, you’ll probably never get to enjoy that bottle of Italian wine unless you’re willing to exit the security line and check it in. Make sure all your liquids/gels/cosmetics are stored in accordance with security guidelines – This is an unfortunate reality of the world we live in, but there’s no way around it. Not only will adequate preparation for this save time at the security checkpoint, but it will also ensure that any expensive/valuable cosmetics you own won’t be tossed out! Well, there you have it! Some of these might seem like common sense, but there’s nothing wrong with brushing up on them. Hopefully they can help make your next trip, whether it be our Highlights of Florence and Tuscany Experience or something else entirely, a little less stressful and a lot more enjoyable.